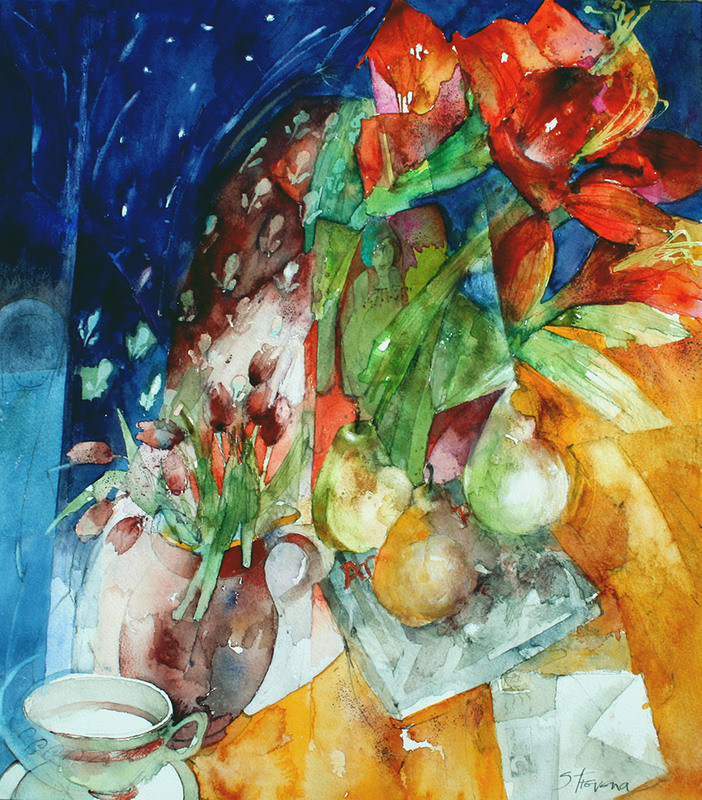 After a successful exhibition at the Barn Gallery at Patchings Art Centre in 2016, Shirley Trevena is returning to exhibit her paintings with three talented friends and artists. Shirley was born in London and now works in her studio in Brighton. She is a member of the Institute of Painters in Water Colours and exhibits annually at The Mall Galleries, London. She was President of the Sussex Watercolour Society 2015 -2017. Masters of Watercolour, St Petersburg 2018. Elaine’s work is inspired by the unexpected results of experimenting with watercolour and she has developed a lasting passion for this wonderfully fluid medium. She is a member of the Association of Sussex Artists and the Sussex Watercolour Society. Her paintings have been exhibited regularly in the Royal Institute of Painters in Water Colours Open Exhibition in London. She was accepted as a candidate for membership of the RI in 2012. She also exhibits widely in Sussex and has work in private collections in New Zealand and Europe. Alison has developed a wacky mixed media style of painting on big canvases. 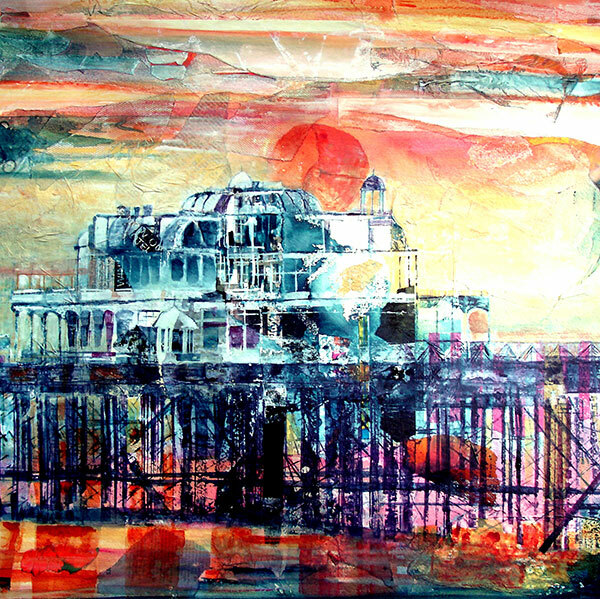 She prefers to remain local in subject and has painted Brighton’s famous landmarks many times, although travel also plays a part. “I like to bring atmosphere and colour back with me in my head and put it into a new piece of work,” she says. She has shown at the RI Open Exhibition in London, and in a variety of exhibitions both here and abroad. 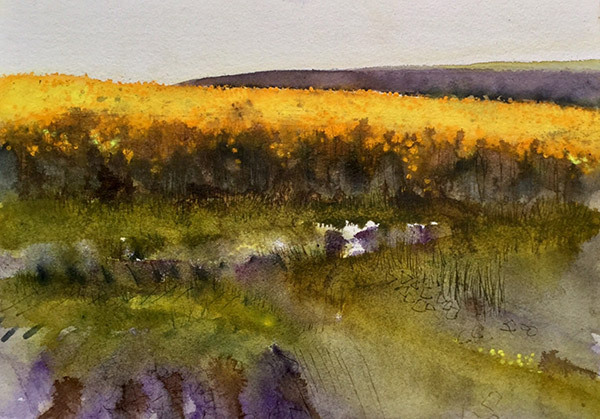 Sarah, a Brighton-based watercolour and mixed media artist, is influenced by her home town and the South Downs, producing land, sea and townscapes. She is a member of the Sussex Watercolour Society, and last year was shortlisted for the prestigious Sunday Times watercolour competition. She works and sells from home and has paintings in collections in Europe, America and Australia.